Stacey Shipman is an executive coach and facilitator who works with businesses to help them improve their communications skills and grow their influence. 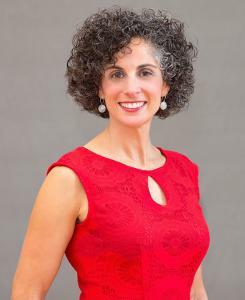 WEYMOUTH, MASSACHUSETTS, USA, February 26, 2019 /EINPresswire.com/ -- Executive coach/facilitator Stacey Shipman has re-branded her company under the name Engage The Room, a business that specializes in women’s leadership. In particular, Engage The Room helps business leaders “power up” their presence and communication skills so that they can take more risks, connect with colleagues and prospects, ignite positive change and grow their influence. She said, “It doesn’t need to be that way. The Engage The Room mission is to bring out the best in people and their ideas. Shipman points to communications failure as leading to poor worker performance, employees who leave a firm, work environments which become toxic, and the loss of business. Engage The Room shows business leaders how to improve their communications skills through group workshops and individual coaching, depending on the client’s needs. In addition, she facilitates team and leadership off-sites for her clients as well as hosting her own podcast, events and retreats. She works with all industries but concentrates on women in startups, healthcare, wellness, and nonprofit organizations. Her clients are typically business and non-profit leaders who are responsible for sharing a vision or strategy with colleagues, giving frequent presentations, representing a company at industry events, and motivating or managing others. Stacey Shipman, founder, has run an executive coaching and facilitating business since 2006. She is the former Executive Director of the South Shore Women’s Business Network, founder of Healthy South Shore, and was a Marketing Research Manager for several organizations. She is a graduate of the Isenberg School of Management at the University of Massachusetts, Amherst, and earned a Masters Degree also from the University. She is a member of Toastmasters and serves as an Ambassador for the Plymouth Area Chamber of Commerce. Clients she has worked with include Phillips DiPisa, Mullen-Lowe, Rockland Trust Company, T1D Exchange, Cranberry Area Chamber of Commerce, and GMAC. To learn more about Engage The Room, please visit http://engagetheroom.com or call 617-548-5877. Interested parties can also learn more by accessing and following https://www.linkedin.com/company/engage-the-room/.